Who doesn't love a roast dinner? Toby Carvery is a great place to go for lovers of the good old bristish roast dinner. Today you can grab 50% off their main when you use the offer withing the app. 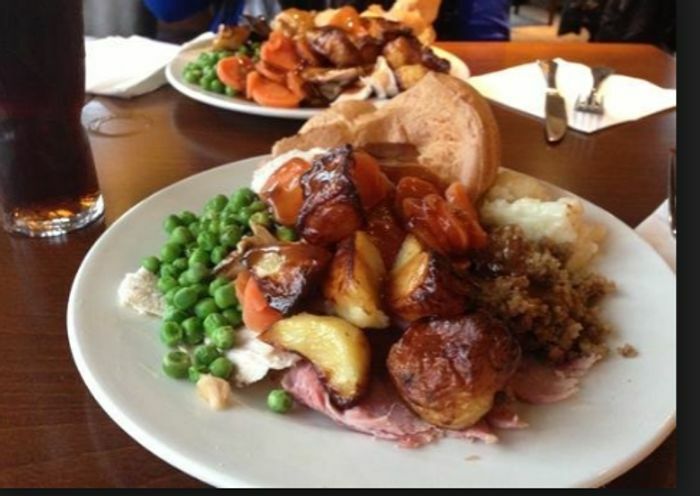 What do you think of this Toby Carvery deal? Damn already have my lunch and dinner arranged for today! Shame this ends today because it looks amazing! Wow, great....after school treat for the kids. Great offer, shame it ends today. Maybe another time, thanks for sharing. Booked for tonight as before when the 50% off was on it was full, I would advise people to book via the Toby Carvery App (you get a confirmation email to ensure you get a table) or ring up to ensure there is a table available. Also if you get the App each time you get a meal you get a stamp (5 for a free sweet and 10 for a free meal) when you sign up you get sent vouchers also. Is it main meals only or carvery Inc? Pity there isn't one near me. Thank you very much for sharing. My wallet only shows 50%? Yes 50% is half price. ,I've downloaded the app, booked a table but cannot find the 50% off vouchers... Any advice..? I don't have one near me but if I did, I'd be eating up a storm! Thank you for sharing.